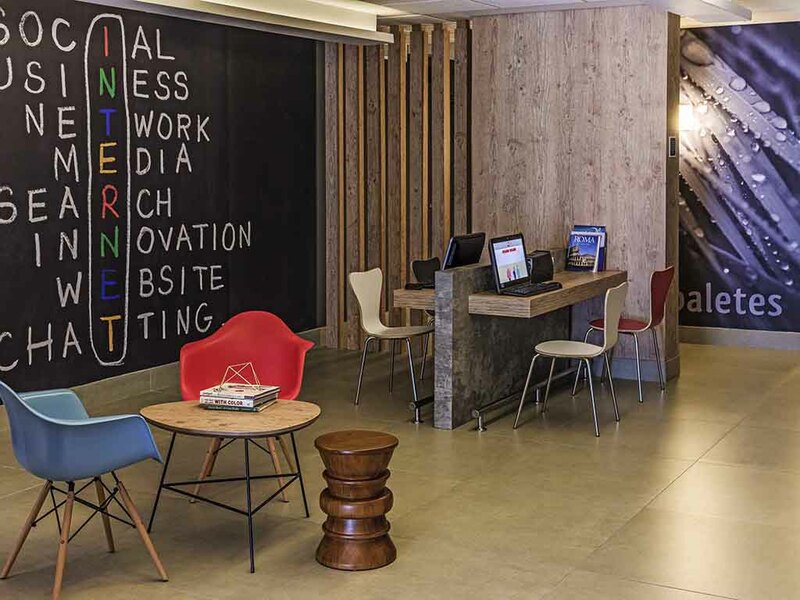 The ibis Valongo hotel is located in a complex that is home to offices and stores. It features a business center and offers services such as the restaurant, bar, information point and valet parking with space for 400 vehicles. Its location offers easy access to the city's historic quarter, with its banks, pharmacies, bars, restaurants, museums, theaters and other attractions. A estadia foi boa, dentro da categoria do hotel. Check in & check out very fast, clean apartment and a good location. Strange but agreeable as usual. Early check-in and pre-paid breakfast were ignored by the recepcionist, I had to insist for them to understand but, although the check-in was done before noon, they did the check-in ignoring the early check-in previously done online. However, the bedroom was comfortable, clean, and organised as usual. Shower and air conditioning were in good conditions. Attentive staff, tidy, modern. Good to attend Petrobras and Santos port events. Staff was very friendly, everyone was awesome in fact, but the cleanliness of the room was poor, there was hair inside the refrigerator, couple fingerprints on the shower door and one of the days the housekeeping did not make our room, so the garbage bin was full when we got back. Most staff were very friendly and helpful, although there were only a few they spoke English. They tried to be as helpful as possible and were patient with my little knowledge of Portuguese. However, the safe in my room was not working on the first night and when I accidentally left my wallet in the room a significant amount of money was taken from it by who I am presuming was the person who cleaned my room. I was not compensated in any way and the managers seemed not to believe me. good wi fi and shower. Comfy bed but the tv location was way too low considering the bed height. parking for guests should be free or breakfast complimentary. The a/c in room 1910 didn't seem to work properly. It´s need a little bit more of empathy. I stayed at the hotel in the rain epoch and in one of the days (Wednesday) I did 3 hours to make 3 kms with my car because the city was indeed submerged.....I thought that the hotel can put some water or something like that as a reward to reach the place.... but no. The buffet at the night and the breakfast are poor in comparative of the price. Good room. Good building. Good services. Good breakfast. Fast check-in. Fast check-out. Good bar. Good restaurant. The area is not very safe, but the staff are very helpful. Beauftiful view of the Port of Santos.